It’s been a while since I saw a good body-swap drama, and MBC’s Spring Must Be Coming looks like it could be loads of fun! The premise is simple – a retired actress-turned-housewife and a ferociously ambitious newscaster somehow manage to switch bodies, and they’ll have to figure out how to inhabit each other’s lives while they search for a cure. It’s light and fluffy, with fun characters that promise a chance to shut off our brains for a while and just enjoy the silliness. NOTE: This is just a first-episode recap. In a secret lab in California, beakers filled with a red and blue liquid formula are fed to dogs, which then appear to… switch bodies? A group of scientists gather to do the first experiment on humans, and two volunteers drink the red and blue formula, which appears to alter their DNA. After a moment the volunteers start to glow, then each takes on the appearance of the other. The scientists celebrate their success, but suddenly one of them starts shooting, screaming, “We never violate God’s creations!” He kills the scientists and volunteers, but just as he’s about to shoot the last scientist, the project lead pulls out his own gun and kills the zealot. But as the zealot dies, a timer on his wrist counts down to zero, and something starts to spray throughout the entire institute. The surviving scientist finds an oxygen mask, grabs one jar each of switching formula, and escapes by cutting through the fence. In Korea, a woman goes for a run and cooks breakfast in an impeccably clean house before her family wakes up. She’s LEE BOM (Uhm Ji-won), a former actress who retired when she got married. She mends her teenage daughter SI-WON’s school uniform then serves up breakfast, redirecting her daughter and husband to healthier foods when she thinks they’ve had enough carbs, to their annoyance. Another woman,, KIM BO-MI (Lee Yu-ri), drags herself out of bed in her messy apartment with great difficulty. She rides her motorcycle to her job as a reporter, vowing to herself that soon she’ll be an anchor. The scientist who escaped from the lab has made his way to Korea, and he stumbles into an alley looking for a place called “Bom’s,” then pounds on the door. A voice from inside tells him to go away, but he says he’s BOM-IL (Kim Nam-hee), and the door opens. The two men haven’t seen each other in so long that they barely recognize each other, and Bom-il’s Korean is rusty so he keeps switching back to English. He tells BOM-SAM (Ahn Se-na) that “they” are coming and rushes to shut the door, begging Bom-sam to hide him. But Bom-sam opens the door again and tells Bom-il to leave, assuming he’s committed a crime. Bom-il promises that he’s just a scientist, but Bom-sam doesn’t trust him and tries to push him out the door. A small box falls out of Bom-il’s jacket and they both freeze. Bom-sam grabs the box and finds two containers inside, the red and blue switching formulas, but Bom-il snatches them back yelling that they’re dangerous. Bom-il shuts the door again and tells Bom-sam that the liquids are his medicine. Still not believing him, Bom-sam slams him against a table and orders him to tell the truth. Thinking fast, Bom-il yells that it’s an instant aging formula, and that he’s being chased by the CIA. Bom-sam closes the door. While Bo-mi is on air reporting a story, her boss, General Manager Kim, says in the booth that he thinks she’d make a great news anchor. But LEE HYUNG-SEOK (Lee Jong-hyuk), the team manager, counters that she’s much too rude to be an anchor. Sure enough, just then Bo-mi interrupts the anchor, Soo-hyun, on-air, and proceeds to ignore signals from the booth to wrap it up. She says her sign-off just as the time runs out, not leaving poor Soo-hyun any time for her closing comments, ha. She’s unrepentant as Hyung-seok yells at her for disrupting the flow of the show, and she checks her phone and gloats that her segment just got the highest rating in the show’s history. Hyung-seok accuses Bo-mi of caring more about ratings than about the news, and as he walks away, she grumbles that he’s too high and mighty. The PD of a quiz show has seen some news bits done by Bo-mi, so he tells his assistant to get her on their upcoming celebrity special. But she’s distracted, so when he says, “Ms. Lee, get Bo-mi,” she hears “Lee Bom-ie,” and looks Lee Bom up online, learning that she used to MC their show before she retired. Bom is doing some volunteer work at a hospital as publicity, and her husband PARK YOON-CHUL (Choi Byung-mo), a politician, complains about the ridiculous lacy white dress she’s wearing to do the dirty work. But when the hospital director comes in, he’s suddenly supportive and helpful. While everyone else is schmoozing, Bom’s assistant SEO-JIN (Sohn Eun-seo) takes a call about the quiz show. She thinks Bom should go on the show, which would be good publicity for Yoon-chul’s upcoming election, since the winner will earn a donation to their high school alma mater. Bom balks, saying that she’s not good at quizzes, and an annoyed Yoon-chul urges her to just donate money directly to Si-won’s school, which Bom also attended. Still, Seo-jin and her manager think the show is a good idea. When Seo-jin arrives home that evening, Yoon-chul greets her at the door in his boxers — gross, they’re having an affair. Seo-jin is mad at him for disagreeing with her in front of Bom, but he whines that he doesn’t want Bom to find out about them. Seo-jin, who constantly compliments Bom to her face, pouts to Yoon-chul that Bom’s too stupid to figure it out. While Bom-il sleeps, Bom-sam steals the box with the switching formula inside, fantasizing about giving it to Bo-mi to make her instantly old. In his mind, she’d be kicked out of the TV station and he’d be there to gallantly rescue her, and she’d be so grateful that she’d fall in love with him. LOL. He mixes the switching formulas with a health drink and pours them into little bottles, returning what’s left to Bom-il’s box. He’s gone when Bom-il wakes, but Bom-il relaxes when he sees that his formulas appear untouched. At Bom-sam’s desk, he finds some old photos of himself and Bom-sam with a little girl, which remind him of his happy childhood. They’d grown up in an orphanage together, and the nuns had referred to them as “the Boms” — Bom-il, Bom-sam, and Bo-mi. Bom-il is surprised to see pictures of Bo-mi spanning all the way to adulthood. Bom-sam sets up a table in the lobby of the TV station, pretending to be giving out health drink samples. But when Bo-mi wanders by, he gets nervous, falls, and gets kicked out by security. Bo-mi watches the kerfuffle and grumbles that the guy is rude, and Hyung-seok walks past quipping, “Not as rude as you,” HA. Bom does seem to be pretty gullible — she takes a call from Si-won, who claims to be at piano practice. But Si-won is actually waiting to see her idol oppas arrive at their agency building, and is just playing piano music in the background. A young man named IM-SOO (Yoo Jung-woo) watches the screaming girls surround the van. A CEO from the agency, CEO KIM (Kim Kwang-kyu) tells Im-soo that soon, those girls will be screaming for him. While she works out, Bom studies for the quiz show with Seo-jin’s help. She wonders at the simplistic questions Seo-jin asks, but Seo-jin waves away her concern, though she pointedly mentions the current minimum wage. When Bo-mi gets to work the next day, she hears people whispering that “Bom-ie” is here and she pulls out a pen to sign autographs, thinking they’re saying “Bo-mi.” But the crowd gathers around Bom, here for the quiz show, and Bo-mi mutters that their names are confusing. You’re telling me. She ends up riding in the elevator with Bom and Seo-jin, and Bom notices that they have the same bag. Bo-mi’s rival Soo-hyun, also in the elevator, says loudly that Bo-mi’s looks like a knockoff, but Bo-mi insists (a bit too emphatically) that it’s real. Soo-hyun follows Bo-mi out of the elevator, shrieking at the top of her lungs that Bo-mi is carrying a fake bag. Bo-mi just raises a fist and whacks Soo-hyun in the nose, and Soo-hyun drops like a stone. Bo-mi passes the quiz show PD just as he’s yelling at his assistant because a contestant didn’t show up. He sees Bo-mi and asks if she’s ready for today, and when she’s confused, he glares at his assistant. The assistant confesses that she accidentally invited Lee Bom. Bo-mi walks away pouting at being confused for Lee Bom again, but the PD runs over to beg her to be on the show, since he’s short one contestant. She agrees right away, a competitive glint in her eye. Bom is dismayed when she gets to the studio and sees a poster proclaiming today’s show to be for celebrity geniuses. Seo-jin reassures her that the questions will actually be very easy — ugh, she’s setting Bom up to look stupid. I hate her. When they get to the green room and see the other contestants, all of whom are famous for their intellect, Bom realizes something is terribly wrong. She tries to escape, but she runs smack into the PD. She says she’s not prepared for this, but Bo-mi sneers that she certainly looks prepared with her perfect outfit and makeup. It doesn’t make Bom feel any better when Bo-mi haughtily waves her station ID at her, but Yoon-chul and Si-won show up to support her on the show, and she’s stuck. Yoon-chul yells at Bom that he’ll be embarrassed if she quits, because he’s bragged on social media that she’s going to be on the show. But Si-won tells her mom not to do it. Bom gasps in horror at her daughter’s harsh words, but Si-won says that this is how she felt when her mom made her enter competitions when she didn’t want to. Bom says softly that she’ll do it for them, and Seo-jin smirks happily. Bo-mi psyches herself up by telling herself that she’ll stomp Lee Bom, and then people will recognize her name. When the show starts, Bo-mi answers most of the questions correctly, while Bom just stands there looking vaguely lost. CEO Kim follows a director into a sauna to ask him to cast Im-soo in his next drama. Im-soo walks in wearing dish gloves and acting out a scene as if he’s a doctor doing surgery, but CEO Kim stage-whispers that the role is a patient. Im-soo throws himself flat on his back, then remembers the doctor is a proctologist and flips over with his tush in the air, HA. Ignoring Im-soo’s hiney, the director turns on the television, which is tuned to the quiz show. CEO Kim sees Bom, who he used to work with, and wonders what she’s doing on TV. By now all the contestants have several hundred points, except for Bom, whose score is still zero. She finally gets her chance when the next question asks to list five fruits from most to least calories, and she gets the answer right for a hundred points. The final question is worth five hundred points, guaranteeing the victory to whichever contestant gives the right answer. The question is about the new minimum wage, and Bom hits her button an instant before Bo-mi. She gives the correct answer, winning the entire show, and she’s so excited that she even hugs a very shocked Bo-mi. Bo-mi leaves understandably upset, after having correctly answered most of the questions. Bom apologizes for taking the win from her, and she sweetly offers to split the prize. But Bo-mi rudely refuses both, snapping at Bom not to ignore her feelings just to make herself feel better. Yoon-chul and Si-won are thrilled over Bom’s victory, and Bom doesn’t notice that Seo-jin is sulking. Bo-mi watches the four of them celebrating and grumbles to herself that Bom may be lucky, but in life, the hard worker always wins. She goes to dinner with her boyfriend, who seems about to propose, but the waiters bring out a birthday cake instead. At Bo-mi’s surprise, her boyfriend reminds her that they celebrated her birthday here last year, and Bo-mi recalls she lied about it last year, hee. From around the corner, Bom-sam watches, scoffing that neither of them even know their real birthday. Bo-mi looks around for a gift while insisting she doesn’t need a gift. Her boyfriend, who’s the nephew of the station president, tells her that he talked his uncle into giving her the nine o’clock anchor position and playfully threatens to cancel it. Bo-mi jumps up and grabs his phone away, while Bom-sam punches a lamp. Bom-sam mopes his way home, only to find Bom-il polishing off an expensive can of tuna he’s been saving. Bom-il apologizes and says he was scared being all alone, but grumpy Bom-sam says that he’s lived alone for twenty-six years, ever since Bom-il and Bo-mi were adopted. Bom-il asks if Bom-sam is mad at Bo-mi because he was lonely. Bom-sam admits that he’s angry at Bo-mi for leaving him alone, and Bom-il points out the current photo of her on the desk, which has a screwdriver punched through her head, yikes. Bom-sam admits that he’s liked Bo-mi his whole life, and we see his tiny self confessing his love to her only to get immediately rejected, aww. He’d proposed to her after graduating out of the orphanage, but she’d turned him down then, too, by writing “get lost” on the marriage registration papers he’d prepared. Bom-sam admits to still feeling bitter and says she should be punished, but when Bom-il asks what he means, he just says it’s not important. Bo-mi goes to the station to celebrate her promotion while Soo-hyun pitches a hissy fit at not getting the coveted anchor job. General Manager Kim tells Soo-hyun that Bo-mi got the job through her connection with the president’s nephew, and gets fussed at by Hyung-seok for gossiping. Bo-mi takes great delight in gloating to Hyung-seok, and he “accidentally” whips her in the face with his ID badge as he walks past, HA. They head into a meeting, while Bom-sam eavesdrops from the hallway dressed as a lady janitor. Hyung-seok tells his team to deliver the news sincerely, making pointed eye contact with Bo-mi. General Manager Kim mentions the upcoming Pink Run, a charity marathon that their station is sponsoring (and in which Bom is also participating), and he asks for volunteers from their department to do the run. Bo-mi volunteers, but Hyung-seok objects, since it’s the same day as her first show. But she states her now-familiar, “Hey, I’m Kim Bo-mi,” and insists she can finish the race in time, and will even interview the participants while she’s running. She tells the team to use film of her running as the show’s opener, and Hyung-seok scoffs at her thinking that she’ll be opening the show. General Manager Kim is sold on Bo-mi’s grand vision, but Hyung-seok storms out, snapping that Bo-mi can go ahead and be the team manager, anchor, and chief while she’s at it. On the day of the Pink Run, Seo-jin asks if she can pick up Si-won after the run, because she has plans. Bo-mi is in the middle of the crowd, filming herself and doing mini-interviews, but she goes green with envy when she spots Bom being interviewed by an actual news team. Bom-sam is also there, dressed in a staff vest and carrying his doctored-up switching formulas, giggling that today is the day Bo-mi grows old and grey. At the starting line, Bo-mi creeps one foot waaaay over the line, making Bom weakly protest that it’s against the rules. The starting gun fires and Bo-mi takes off at a dead run, but Bom holds back, worrying that Bo-mi will burn out at that speed. As Bo-mi runs, Bom-sam tries to give her the red bottle of formula, but she refuses to drink to avoid having to stop for a bathroom. In time, Bom catches up to Bo-mi, and they go back and forth trading the lead. Bom-sam takes a shortcut and intercepts them at a rest station, but Bo-mi shoves the bottle out of her path. While Bom-sam stands there shocked, Bom grabs the red bottle from his hand, but luckily he still has the blue bottle in his pocket. It takes several more tries, but once Bo-mi is finished filming herself, she finally takes the blue bottle. Bo-mi and Bom take big gulps from their bottles, both of them drinking the entire thing. Their stomachs start to rumble ominously, badly enough that they both detour to a restroom. They end up in adjacent stalls, and once their tummyaches are addressed, they get itchy all over. They give loud, simultaneous sneezes, then everything goes very quiet. Feeling much better, Bom and Bo-mi leave the stalls and wash their hands… and see themselves in the mirror, in the wrong bodies. They stare at their reflections in horror, then turn to each other, and scream bloody murder. Outside, Bom-sam hears the screaming, and an older lady who was in the restroom too comes running out at top speed. He thinks it’s Bo-mi grown old, and he goes after her, excited that his plan (supposedly) worked. Still in the restroom, Bo-mi slaps her own face, now being worn by Bom, who’s about to pass out. Bom also slaps her face, that Bo-mi is wearing, hoping that this is just a dream. Bo-mi yells that it hurts, and Bom screams daintily and passes out again, lol. Seo-jin gets fidgety when the race ends and Bom hasn’t shown up yet, so she calls Yoon-chul, but he says Bom probably just stayed behind to help someone. He’s waiting for her in the parking lot, so they decide that Bom will be fine and leave for their date. Bom and Bo-mi are still in the restroom, trying to figure out what happened and what to do next. The finally answer their phones, and Bom tells Si-won that she’ll pick her up soon while Bo-mi lets the station know she’s on her way. But they can’t exactly show up in the wrong body, and they exchange nervous glances. They leave the restroom and jump in the same taxi, fighting over who gets to go to their destination first. Bo-mi wins by body-slamming Bom into the door and bribing the taxi driver. Having only run half the race, Soo-hyun is dressed and ready when air time nears. But Bo-mi is in the building, pushing a shrieking Bom in her body down the hallway on a dolly. She yanks Bom into the makeup room and starts forcibly dressing her, while Bom weakly insists that she needs to pick up Si-won. Finally Bo-mi turns Bom to the mirror and says firmly that even if she went, her daughter wouldn’t recognize her. For now, she accepts that they’ve somehow switched bodies, and she tells Bom that in a few minutes she’ll be anchoring the news. She says that this is making her want to go crazy too, but that they have no choice. Hyung-seok is at the door yelling that Bo-mi has one minute to come out, so in desperation, Bo-mi promises Bom that she’ll pick up Si-won. Bom is in a state of shock, so Bo-mi quickly puts some makeup on her and tells her to pretend this is a role she’s playing. Bom whines that she can’t remember how to act, but Bo-mi says that she’ll remember when she’s in front of the cameras. She tells Bom to close her eyes, and when she opens them, she’ll be Kim Bo-mi: news anchor. A few minutes later, Bom is sitting at the news desk, still looking dazed. Bo-mi takes her scooter to find Si-won, and she stops to watch Bom on the jumbo screen. But as the show begins, Bom just stares into space, too terrified to say a word. This looks like it’s going to be fun! I love how different our two heroines are, and I can already see how they’re going to improve each other, as well as themselves, as they’re forced to live opposite lives. You can see much of what will happen in the plot a mile away, but with a drama like Spring Must Be Coming, I’m okay with that. Some shows are meant to surprise and amaze you, but some are more predictable, like this one, and the fun comes in seeing these characters overcome these challenges. I love the casting, and the characterizations are entertaining (if a bit on-the-nose and exaggerated), so for me, the value in this drama is in seeing how Bom and Bo-mi change themselves and each other before they get their own bodies back. Bom could really use a dose of Bo-mi’s “F-you if you don’t like me” attitude, because she’s entirely too naïve and weak-willed, so much so that she hasn’t even noticed her husband and her assistant having an affair right under her nose. But her softer personality will certainly get people in the newsroom to like Bo-mi more, and I can’t wait to see her reaction to Bo-mi’s disastrous apartment (and then watch her polish it to a high shine!). She’ll benefit from living Bo-mi’s life by learning to stand up for herself in a tough industry, and it’s my hope that Hyung-seok will fall for her and show her what it’s like to have a loyal, respectful partner in life. So far, Bo-mi is cracking me up with her cheeky attitude. Lee Yoo-ri played a similar character in 2017’s popular family drama Father is Strange, and I can see a lot of her Hye-young from that show in Bo-mi. But now she’s going to be portraying the meek milquetoast Bom, so we’ll get to see a very different side to her, and it’s going to be a hoot watching Uhm Ji-won adopting Bo-mi’s sass and swagger. Bo-mi needs a lot of toning down, and hopefully she’ll learn some restraint as she suddenly finds herself a reluctant wife and mother — but I’m also gleefully rubbing my hands together in anticipation of the inevitable smackdown when she learns of Yoon-chul and Seo-jin’s affair. It’s going to be epic. I don’t think that this is a show I would have watched if I hadn’t done this one-time recap, but I’m in the mood for something light and fluffy, and Spring Must Be Coming just might hit the spot. My hope is that Bom and Bo-mi, whichever body they’re in, don’t just inhabit each other’s lives, but actually grow close with each other in the process. I liked their interactions, with Bo-mi being overly prickly from jealousy and Bom sweetly worrying about Bo-mi’s feelings anyway. It’s been a long time since I enjoyed a quality sisters-of-the-heart drama, and the chemistry between these two actresses is very good (not to mention their dead-on impressions of each other! ), so if we can expect more of that, then count me in. The two lead actresses are doing a wonderfully outrageous job. A really fun watch. Everybody was so enthusiastic about the ML in Crowned Clown and how well he played two roles... These two seem just as good. I only watched this bc an actor I liked from a web drama has a small role on it, but I'm so glad I did! This drama is so fun and yes, you can tell already where it's going but you can also tell it's gonna be a FUN ride to get there. LOL yes! That's the one! I just watched until epi 3 and absolutely love this. I wish this drama received more love from Koreans though. These two unnies are so good in portraying their roles either as their own characters or when their bodies are swapped 😂 I haven't laugh this much while watching kdrama since Waikiki last year! Good job both Bom Bo-mi! Exactly! I howled with laughter during Waikiki and finally, doing it again in Spring. Really great fun comedy! Speaking of Waikiki, hope season 2 will be fun like the previous season although I will miss the original casts a lot. The actresses are just amazing, completely amazing, this show should be used as a reference in acting classes for perfect body swap acting. Wow, this looks like a lot of fun! It kind of flew out of nowhere, and I didn't really have any intention of watching it, but I'd like to give it a try now. this is really a testament to their acting skills! though i think Lee Yu-ri's acting (as Bom) is a little much compared to when Uhm Ji-won acts as Bom. 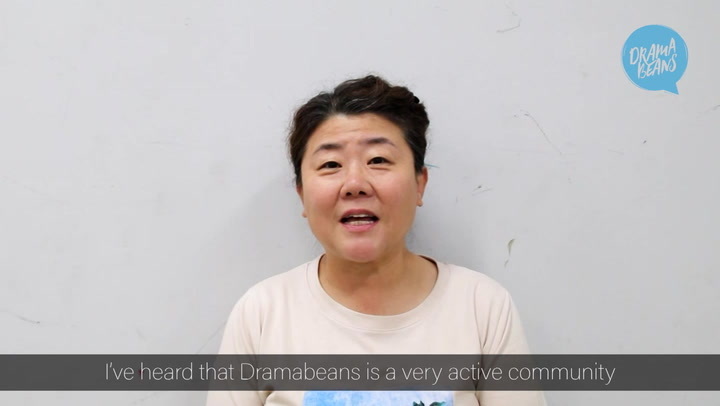 we're tracking locations here: https://koreandramaland.com/jobs/?search_keywords=%22spring+turns+to+spring%22&submit= - more to come! This one might be my new favorite. Love the leads, and Bom-il and Bom-sam. Thanks for the recap!